The studies launched a best-selling book, and even a whole social/health experiment movement to put some of the lessons into practice in other communities and workplaces. These “Blue Zone Projects” have apparently been very successful, with residents shedding pounds, cutting healthcare costs, and finding greater happiness and less stress. 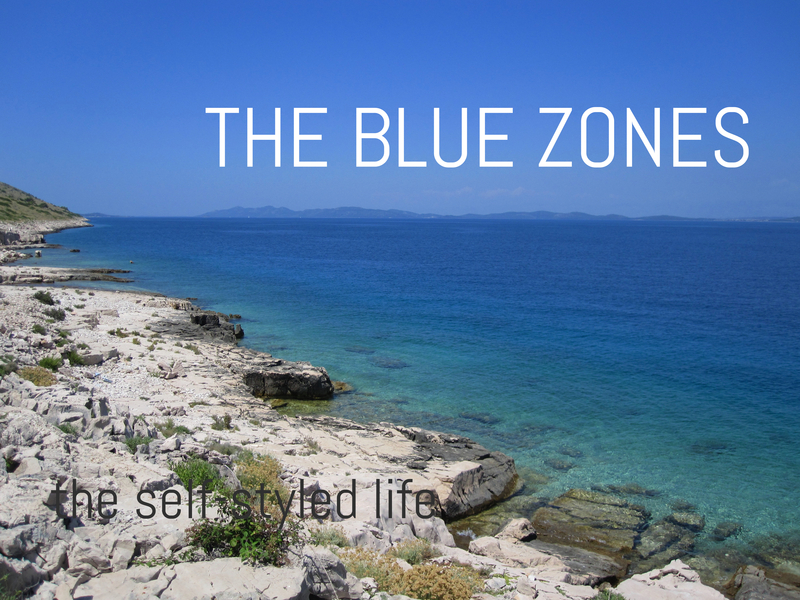 When I first heard about the blue zones, I was hooked. Some of the concepts aren’t groundbreaking, such as consuming a healthier diet (though the book does point to some specific regional super foods that would be worthwhile for anyone to incorporate into their diet, if possible). But some of the other lessons are very thought-provoking. The exercise piece has some interesting nuance. The people in these communities aren’t spending hours at the gym; exercise is a natural part of their lives. They are less auto-dependant and walk more or cycle, they live in areas that require more activity, things like daily walks or gardening are part of their normal habits. In other words, they engage in “mindless movement” that is simply built into their days. So many of our North American communities are car-centric–bad for both the health of our environment and our selves. 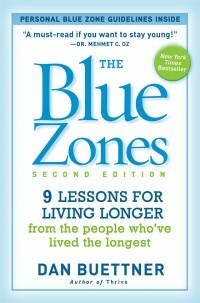 The findings of the blue zones are added impetus to reimagine the structure of our living spaces. This is one of the reasons I love living in the city–we have just one car for Mike to get to work in, and I walk daily to school, the parks, the grocery store, etc. Most people would agree that our relationships are important, but to think that they may actually be critical to living a healthy life is just fascinating and, I think, especially important in our modern lifestyle where so many of us leave our homes. But what does this mean, exactly? In the blue zone of Okinawa, Japan, the people form social groups from birth–a sort of safety net they rely on throughout their lives. Other communities are engaged through their religious life. This made me assess my own family’s community involvement. My daughter and I regularly attend the church down the street and have, as a result, formed friendships with other families. Linden just started nursery school and it’s a co-op–run by the families themselves who form the board, oversee the financials, plan activities, and help the regular teachers during each day. 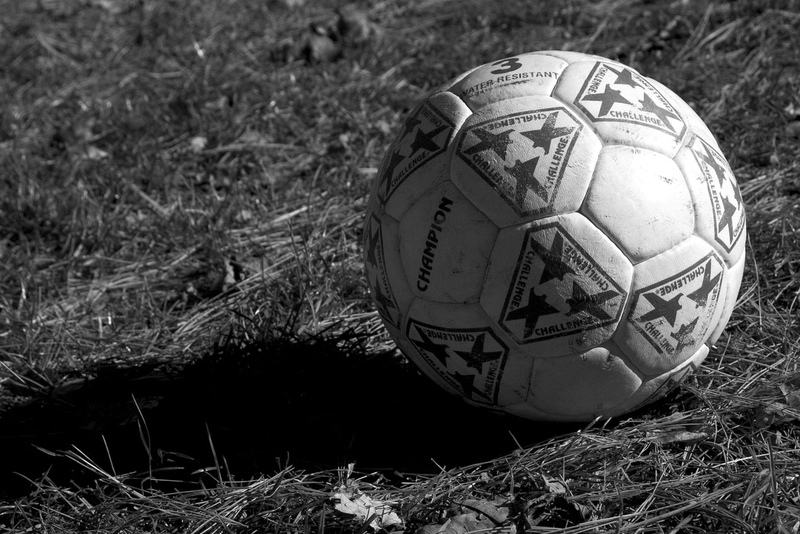 My husband plays soccer and has formed some great friendships through his teams. At a recent team party (it may have been after a few drinks), one of his teammates who moved to Canada from Europe within the last year actually got emotional discussing how important the team has been for him as he struggles with the inevitable loneliness of being away from home. As with the exercise bit, we’re trying to be more engaged socially as a necessary and natural part of our life–it’s not just about calling up friends for a BBQ (although that’s important, too!). The internet and things like Facebook are often derided for contributing to a lack of meaningful social engagement in our lives. But I think there’s actually amazing potential for these tools to have a positive effect if used properly. For me, living away from family and friends, I unabashedly love Facebook because I still feel like I form little touchpoints with the people I live far from and don’t talk with regularly. I also have a group of mom friends I’m in contact with daily. We are scattered across North America and I’ve only met a few of them in person, but I consider them to be an important support in my life. The internet doesn’t have to be all about superficiality and selfies–we can still form and maintain meaningful connections through these digital relationships. There’s also an important take-away from the broadness of the blue zone lessons. We tend to focus on singular miracle fixes–the new superfood, the “right” method for raising kids, etc. But when we focus on the wider lessons we can see how there are more than one way find health and happiness in our lives without making drastic, disruptive changes. I’d like this to dispel some of the doubt and stress we often experience over our choices. For example, my being a stay-at-home mom is a choice we made for our family. But other families derive different benefits from both parents working, and I don’t think one style is more effective than the other–they’re just different paths to the same goal. The details of the effort can vary, but the point is that we’re making a conscious effort to put our family first in our lives. I’m eager to read the book and get a more in-depth look at the study and its findings. I love this holistic approach, and the idea of longevity along with health and happiness–not just living a long life. It’s so easy to get swept up into the demands of daily life, but with a small amount of conscious effort that daily life can easily be more fulfilling and meaningful! 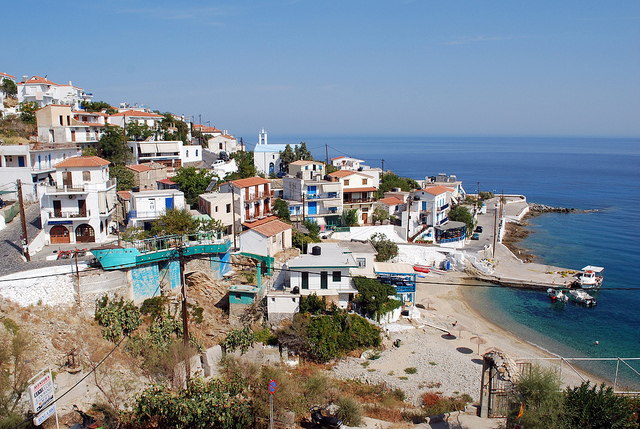 Have you heard or read about the blue zones? What tips resonate with you?